If you are following a Ketogenic diet, you have probably heard of Fat Bombs. Fat Bombs are a staple in our house. With a large family, we go through them like crazy. I try and make at least 2 different kinds each week and store them in the freezer for a quick snack. We all have our favorites, and I am sure you will too after reading through this list! Fat Bombs are edible little balls of high fat, very low carb ingredients. They can range from only a few ingredients you likely have in your house, to complex little balls of fancy ingredients. They can be sweet or savory, it is up to your taste buds. Since Fat Bombs are full of satiating fat, they keep our bodies full, without producing insulin. A Fat Bomb is used in a Ketogenc diet to increase the amount of fat consumed in a day. 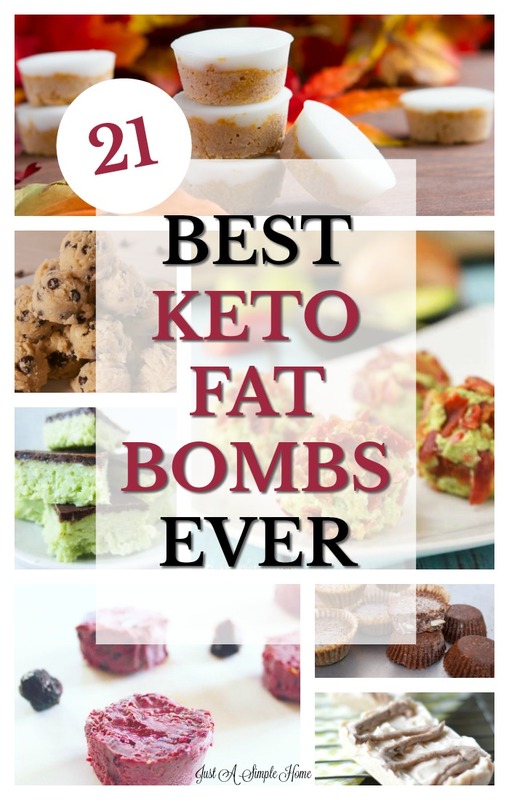 Fat Bombs can be a great way to enjoy a treat while still remaining in Ketosis. DO YOU HAVE HEALTH GOALS FOR THE NEW YEAR? APPLY FOR A SPOT IN OUR NEW YEAR, NEW YOU ACCOUNTABILITY GROUP!